King Henry VIII remains one of the most controversial figures in our history. Wilson draws together all the most recent discoveries and looks afresh at the fascinating life and times of the Tudor monarch, particularly, looking at the King's childhood which is too often dismissed, and the influences of his father and grandfather. 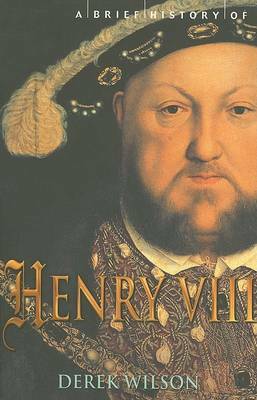 Interwoven with an insightful account of how England became a Protestant nation and Henry VIII's life within the court and, of course, all his wives, this Brief History will bring this enigmatic monarch and the dramatic changes that occurred in Britain during his reign to life.